With the weather so hot, I am looking for recipes that are easy and will keep us cool (by not having to turn on the oven!!!!). 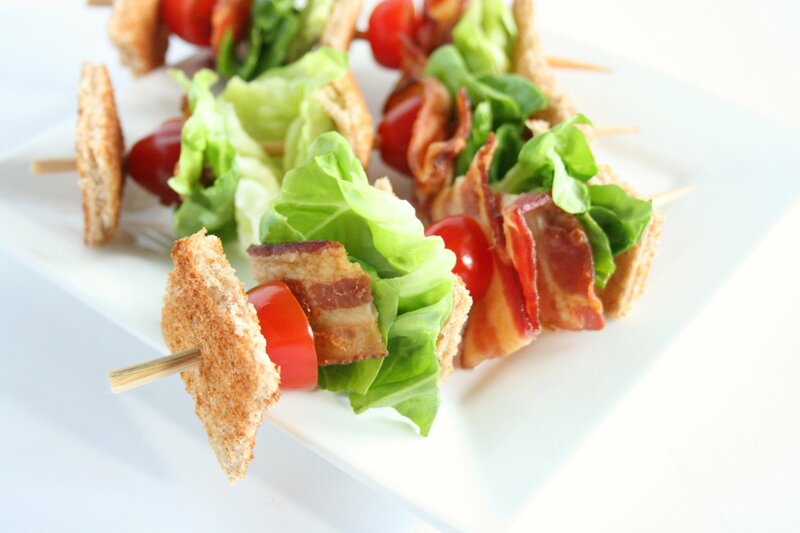 I love this BLT Skewers recipe. It is super simple and a total crowd favorite. I have made these for Shakespeare in the Park picnics and for my own weeknight dinner. They never disappoint!! Toast the bread and cut each slice into quarters (8 squares). You can add Mayo to the bread if you like. Assemble your BLT skewers. Start with the toasted bread, tomato, bacon, and lettuce.